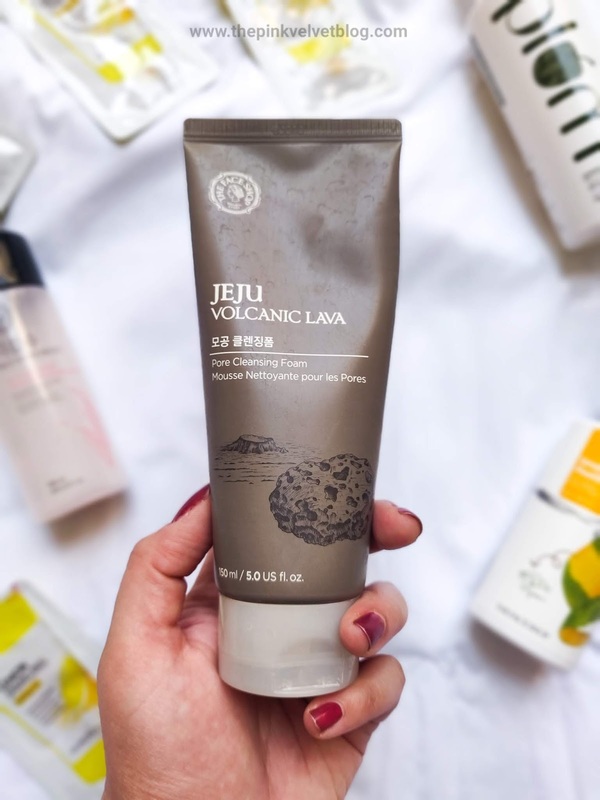 Contains Jeju volcanic lava known for its powerful sebum adhering effects, controlling excess sebum and cares for pores. Takes effective care of your skin pore troubles resulting from and controlling excessive sebum. 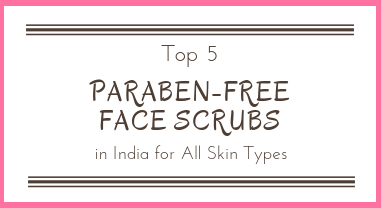 Gives clear complexion free from impurities, dirt. Citrus Grandis (Grapefruit) Peel Oil,Citrus Limon (Lemon) Peel Oil,Disodium Cocoamphodiacetate,Lavandula Angustifolia (Lavender) Oil,Menthol,Olea Europaea (Olive) Fruit Oil,Peg-100 Stearate,Polysorbate 20,Rose Flower Oil,Rosmarinus Officinalis (Rosemary) Leaf Oil. Silica,Sodium Chloride,Sodium Lauryl Sulfate,Hexylene Glycol ,Sasa Quelpaertensis Extract,Akebia Quinata Extract,Hizikia fusiforme Extract,Fragrance/Parfum,Alcohol Denat,Disodium Edta. Dispense an adequate amount and lather fully with water. Massage gently onto the face and rinse thoroughly with lukewarm water. 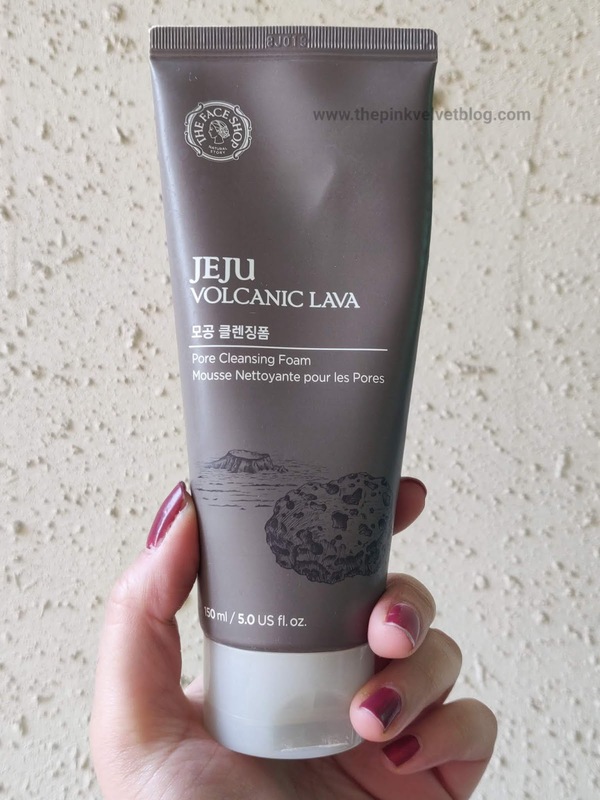 This is an everyday cleanser/face wash from The Face Shop Jeju Volcanic Range, not to be confused with their Jeju Volcanic Lava Scrub Foam, which is hopefully a scrub. Are you a Digital Marketer, Blogger, or a Website Owner looking to grow your Email Marketing Game? Sign up here. 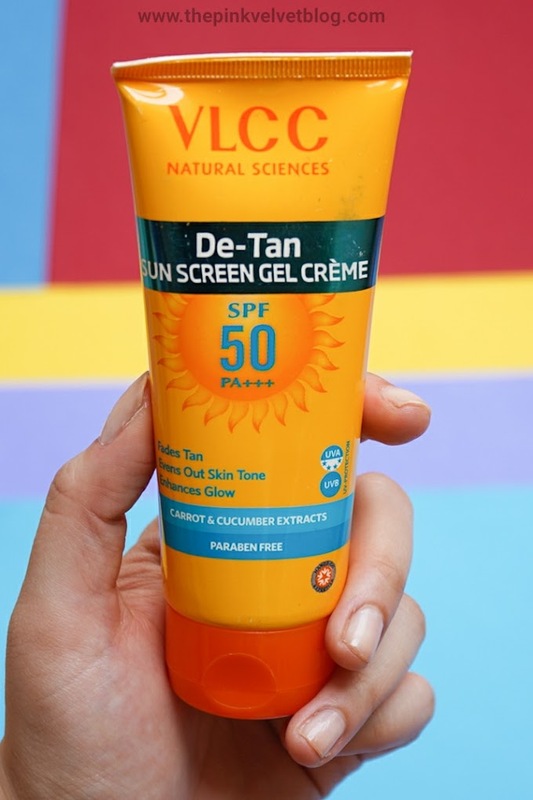 Packaging: It comes in a standard squeezable face wash tube with a flip-flop cap having a nozzle for the controlled dispense of the product. The cap is not tight enough tight to carry it in your bags but not too lose either. Thankfully, it won't break your nails. Fragrance: I don't know how to explain in words the fragrance this face wash has but its nice. Not at all too strong or bothering. Kind of refreshing. 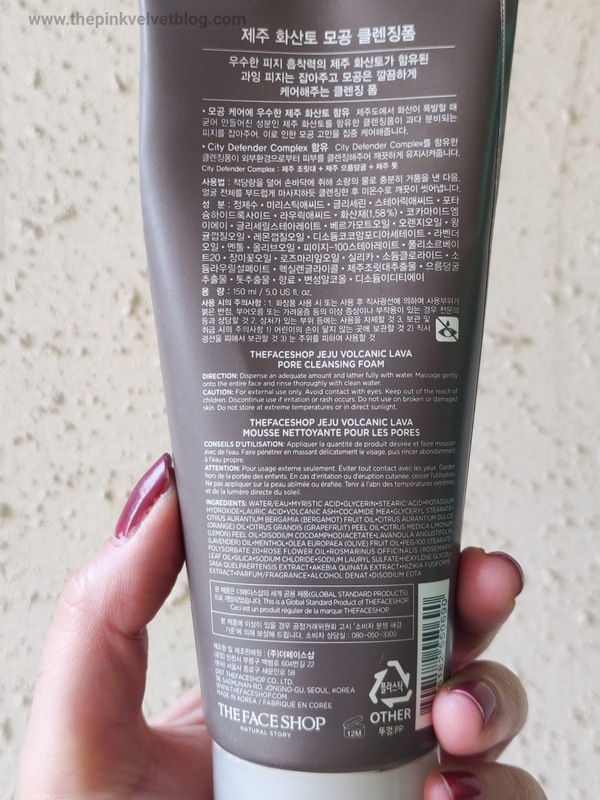 My Experience: I loved my Innisfree Jeju Pore Cleanser. But as I mentioned above, after using this Pore Cleanser Foam from The Face Shop, I am not even looking at my Innisfree one, you must have guessed how great this is. Being an Oily Skin person, I am prone to clogged pores and tiny bumps on my skin and pimples caused by those clogged pores. 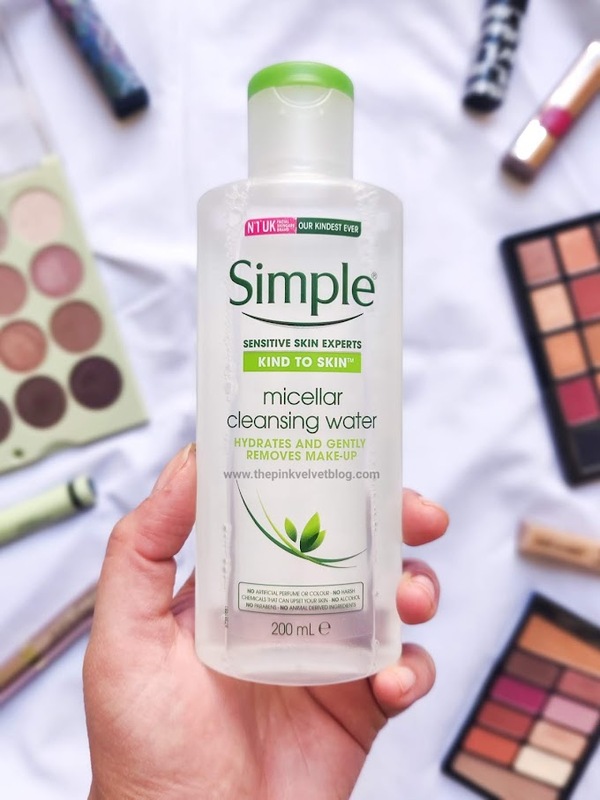 That's the reason, I always enjoy deep pore cleansers. I am a person who loves squeaky clean cleansers and this Pore Cleansing Foam from The Face Shop does exactly what I love. I do not feel happy, or fresh with face wash which leaves a soapy layer on the skin. 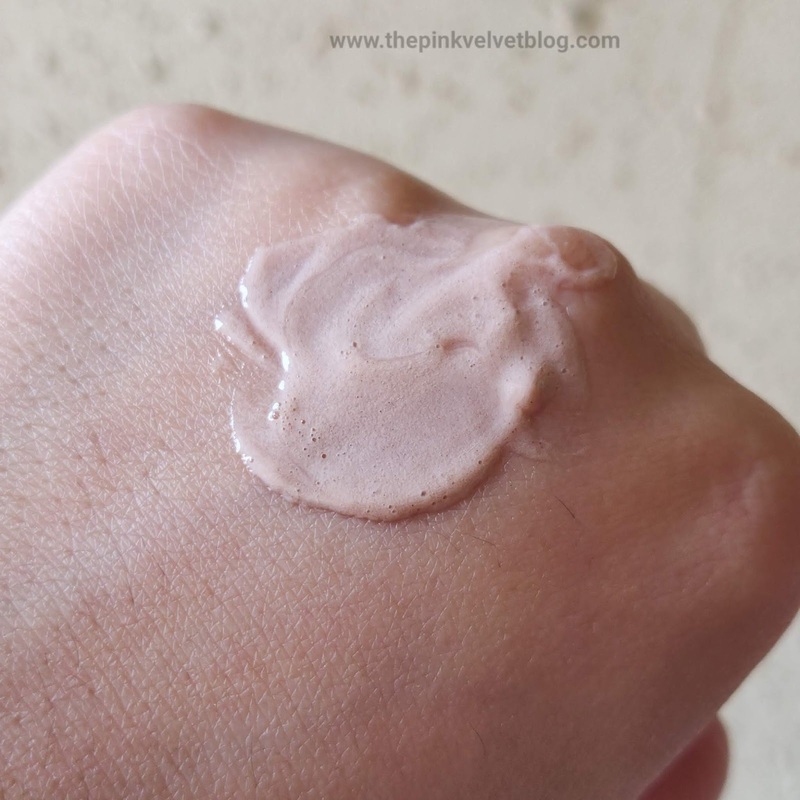 This is muddy brown in color, neither too thick nor too runny in consistency and has nice foaming properties. This is a kind of face wash which does everything my skin needs and want. 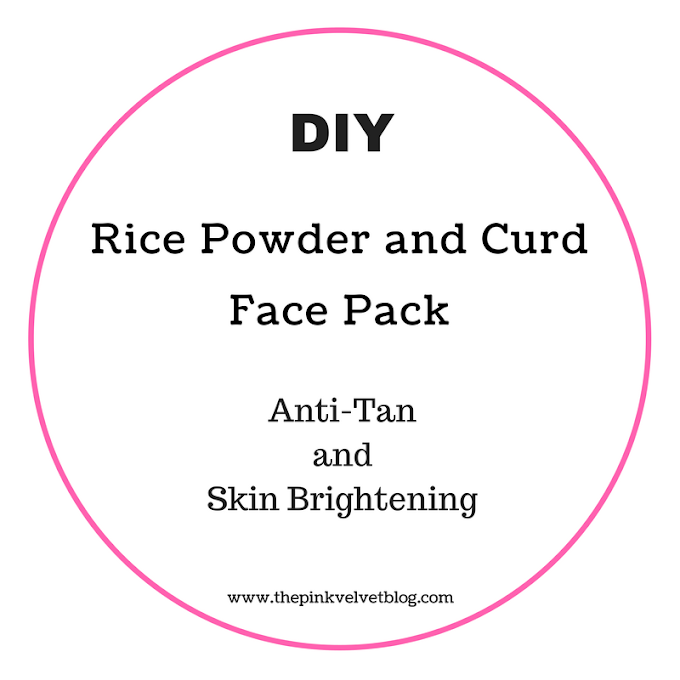 This deeply cleanses my pores which overtime, reduced clogged pores around the cheeks. 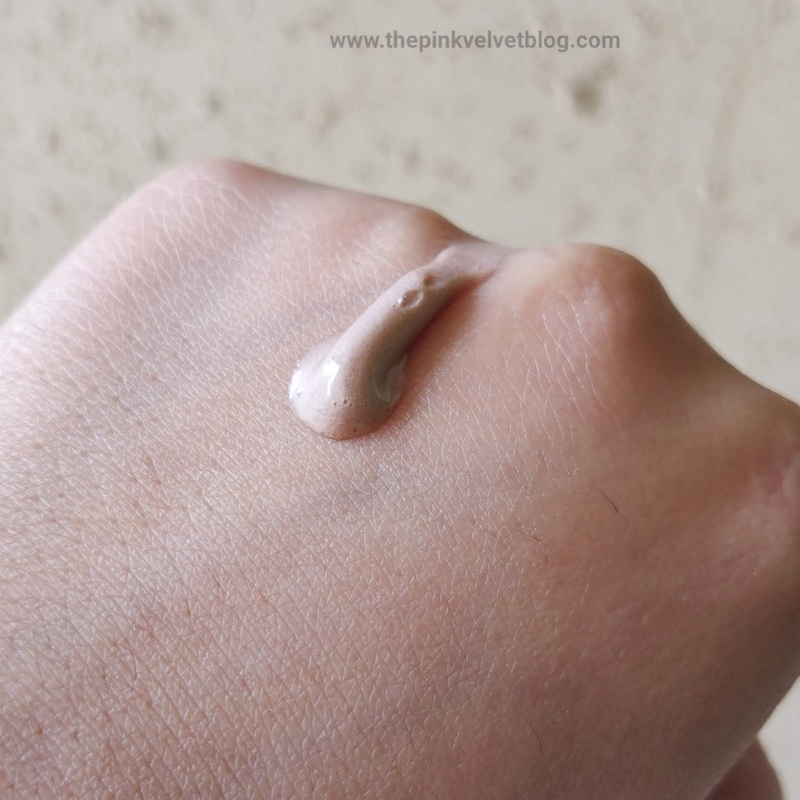 This completely washes away the dirt, pollution, and stickiness and oiliness from the face. 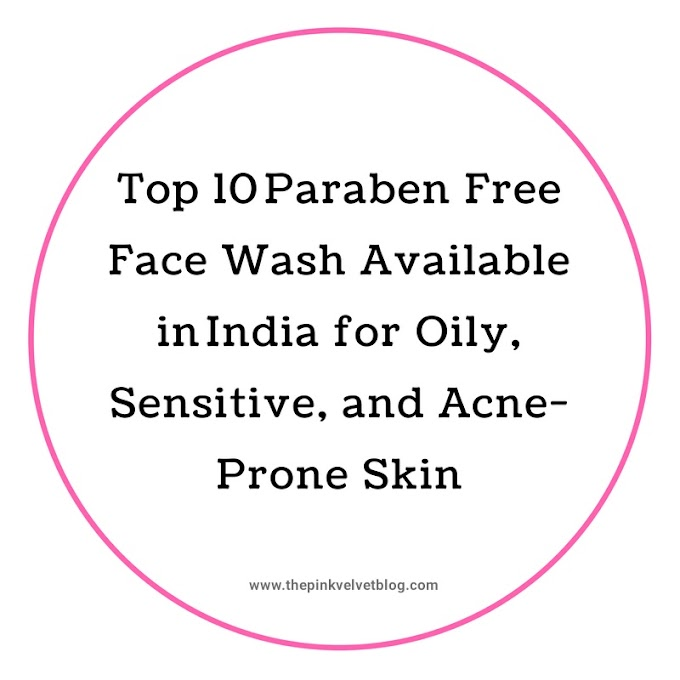 This brightens up the skin washing away the dullness caused by dead skin and pollution and also, removes minor makeup traces. I have been using it day and night and I have seen a visible difference on my skin around the nose especially. This not only cleanses the pores resulting in a clear and fresh face but also worked on the existing clogged pores. I am extremely satisfied with this face wash. I am using this face wash along with my Plum Green Tea Toner and Mask and I am not getting any more pimples due to excess oil production. I don't know what magic all these three products did, I am happy with results. This doesn't give me any stretchiness post washing on my skin, maybe because I am on oily skin person. 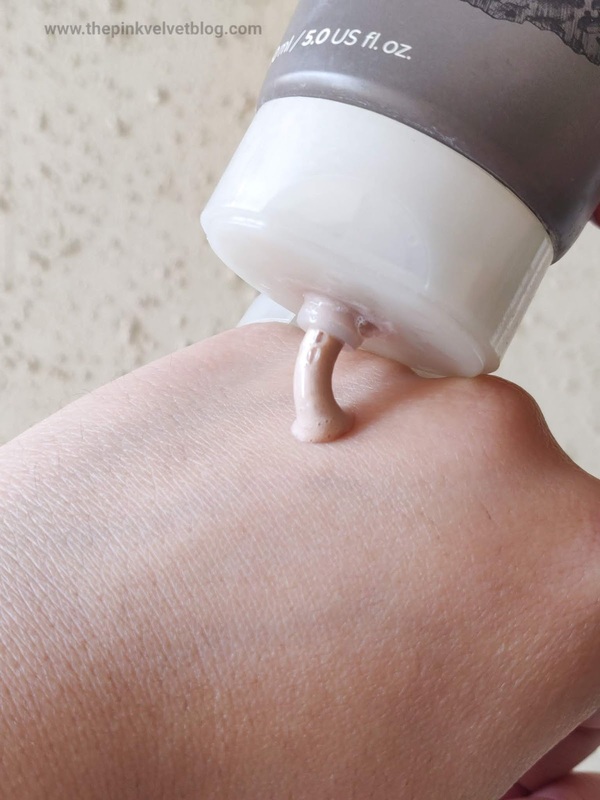 But for dry skin, this might be too strong for you. 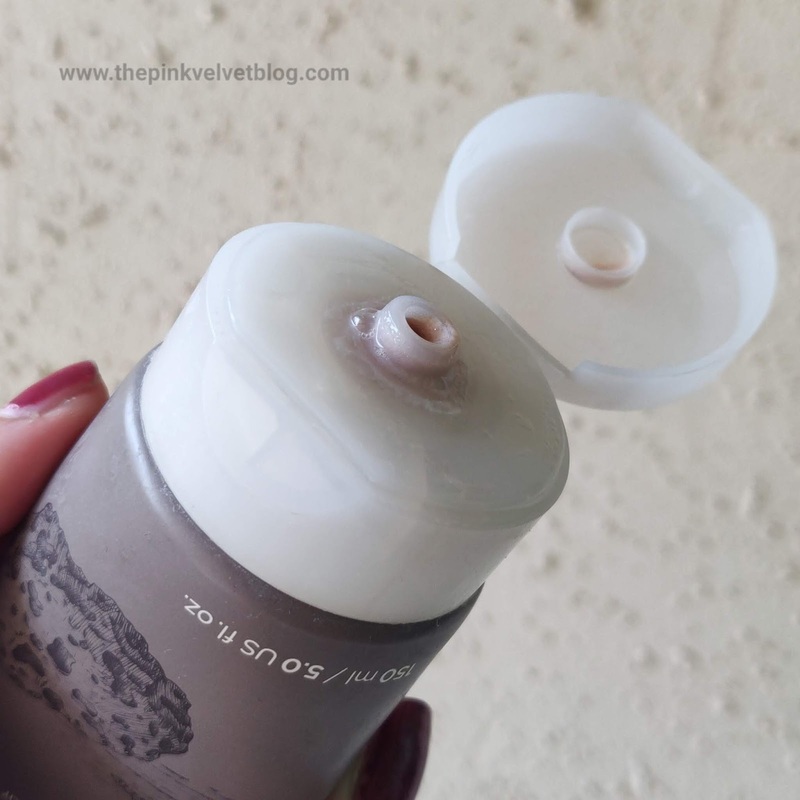 If you are on oily skin person who loves deep pore cleansers with squeaky clean effect, this pore cleansing foam from The Face Shop is an ideal fit for you. 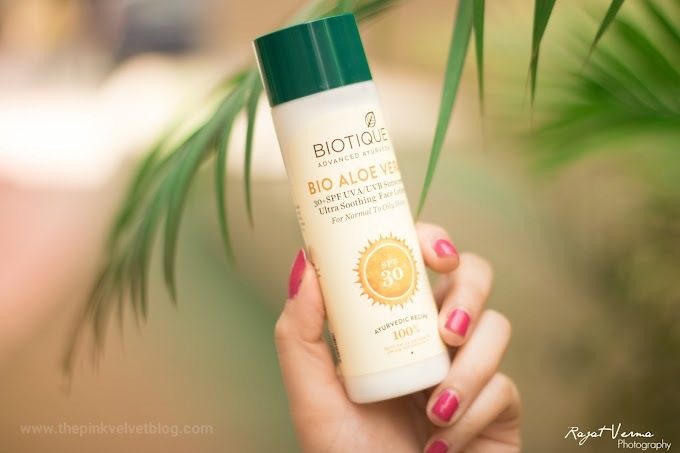 It does everything your skin needs to get rid of dirt and oil and feel fresh and clean. Now, if you will ask me by using this face wash, am I not getting any more pimples? I will say, no, because pimple formation can be because of diet, atmosphere, and hormones. Whenever I eat too much oily or sugary food, I get pimples. 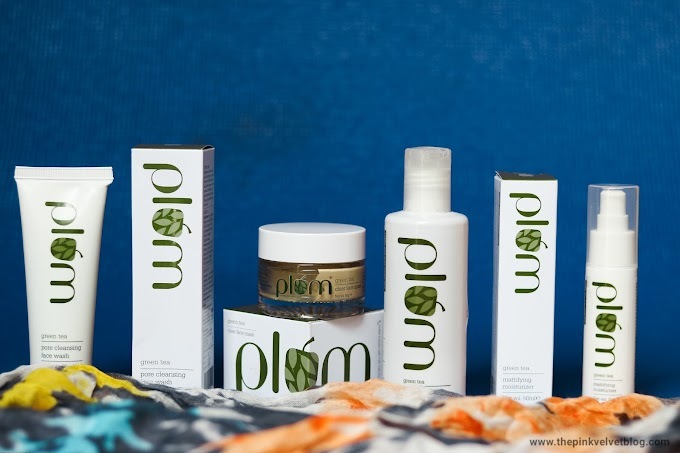 But I am happy that I do not get pimples due to dirt, bacteria or excess oil production. I have been enjoying the way my skin looks after using this face wash, i,e, clean, fresh, and bright. 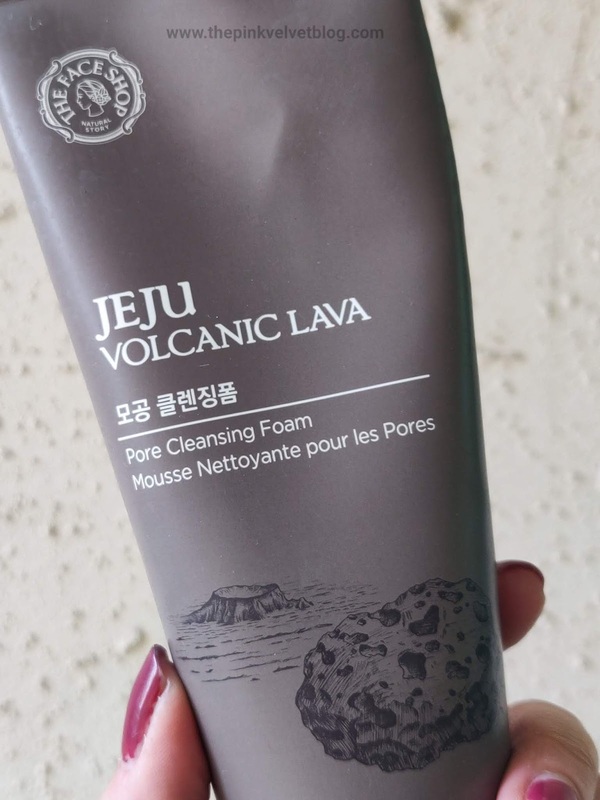 The Pore Cleansing Foam from The Face Shop Jeju Volcanic Range is the best face wash for oily skin people who love deep pore cleansers with squeaky clean effect. 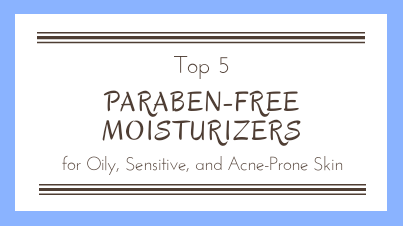 It thoroughly cleanses pores, washes away dirt, and excess oil leaving face fresh and clean. 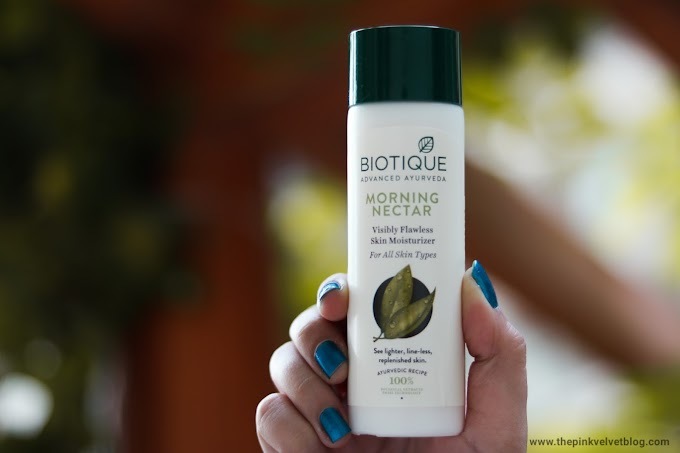 Reduce clogged pores over time. 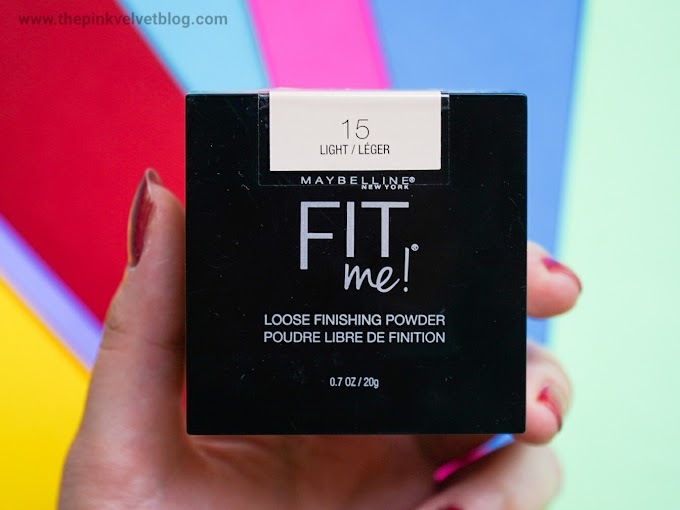 Has brightening properties and removes minor traces of makeup.